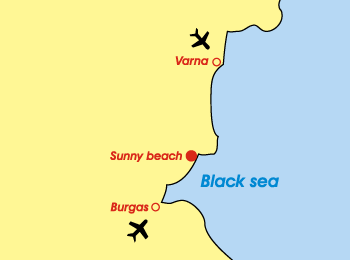 Sunny beach is the largest Bulgarian resort. It is located in a picturesque Black sea bay, close to the Stara Planina Mountains, as well as to the beautiful historical town of Nesebar, which has preserved the cultural legacy from the times of ancient Greeks. The unique nature, lovely beaches, opportunities for recreation and entertainment, make the Sunny Beach a preferred place for Bulgarian and foreign tourists. 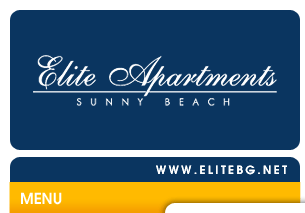 Boat trips, night fiestas, lovely beaches, jet driving, windsurfing and water skiing, sports entertainment of tennis, riding, bawling, golf, beach volleyball, bow shooting, as well as pleasant moments with friends in the numerous restaurants and bars, are quite close to your vacation in hotel Elite Apartments .